It is always useful to think of a promotional item that can help your ‘target market’. Prescription writing pads for doctors, writing instruments for teachers and printed pet leashes for dog owners are all great ideas. You can also come up with quite a few ‘out of the box ideas’, especially if you are thinking of great promotional items to promote your accountancy firm and services. Here are a few accountant advertising ideas to get you started. An easy way to carry a large number of things. A convenient way to display an individual’s identity and credentials. 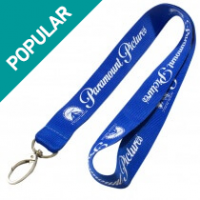 From your point of view, a lanyard is a great promotional item because you can print the name and address and any other details pertaining to your accounting firm on the strap of the lanyard. Think of a visually appealing pagoda, or a tent or even a classic marquee stand. This is one of the best ways in which you can promote your accountancy firm because everybody is drawn to a marquee. You can become part of several events such as marathons, community fairs, and beach side stalls and so on. Simply choose a beautiful marquee and print the name of your firm in bold letters so people remember you. You can also tie up with a manufacturer of printed marquees and think of some very unusual shapes – domes and star shaped tents included. Your corporate colors can also be incorporated in terms of the colors of the marquee itself and the artwork services that go into making the marquee unique. Google “Event Display” to find producers of these types of items. Everybody loves a clean and fragrant room and a car. An air freshener, especially in a car is not just a useful item but is also a visual promotion tool for your accountancy firm. Print your name on an air freshener that is placed on the dashboard and you will be remembered every time the driver of the car or the passengers enjoy an aromatic drive! You can think of air fresheners that come in a spray form or even car air freshener badges. Considering the fact that this is a very practical item for every car owner, you can rest assured that you will stay in visual distance for a very long time to come! 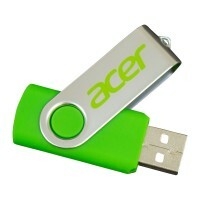 Use multiple USB drives for holding multiple types of contents. Eliminate the need to carry bulky laptops and so on. You can easily invest in USB drives with the name of your firm printed on them so that it is an ‘always on’ reminder home for an individual who is bound to use the USB drive multiple times during the day. This is an unusual promotional item choice simply because a lot of people have graduated onto online mediums for storing their paperwork. But, there still are quite a lot of people out there who are doing their paperwork in conventional forms – with paper and pen or pencil. So why not invest in a great looking custom branded compendium which can act as a portfolio for the individual? Corporate compendiums look ever so stylish and can be a huge association of quality for your accounting firm. All the above promotional items are available online. You simply have to look at multiple websites and go through the images and product specifications in order to choose the correct item. Of course, you can always go in for a combination of all the five items because they can be used in different arenas and different events. For instance, if you use a printed marquee at an outdoor event, then you can certainly choose to give the customized compendium at a business conference. A lanyard is great when you are part of a trade event. Tie up with an automobile show or even an automobile manufacturer or seller so that you can place your car fresheners in his premises. How will you stand out in a saturated market? Use the tips below to get your business brand seen by more people. It is important to identify your strengths and look for niche markets to tap into. Those markets need to know almost instantly what you stand for. For instance, it could be expertise in handling a specific type of corporate taxation or financial services. Your mission statement should go a long way in helping people understand your accounting firm and the specific expertise that it has. Once you have established your strength areas, you need to craft a judicious mix for your promotional strategy. 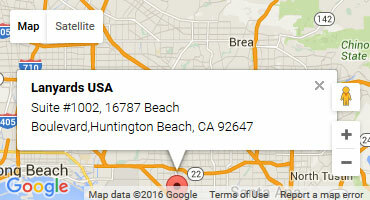 It should bring together sales letters, client references, online strategies and so on. In fact, when you meet prospective customers, it would be useful for you to carry a letter of reference from an existing client. It makes a difference for a new customer to peruse a letter of reference written by a well established and older customer who has been using your accounting services for a while. Most certainly, sales letters and referral letters can go a very long way in telling people about your firm. Equally important is to tap into the online world as well and use the leading social media networks to interact with potential customers out there. One important thing to remember here is to be conversational rather than ‘pitchy’ when talking to people, you could even offer to offer a Q&A service over twitter. Networking is one of the best ways in which you can build opportunities for your accounting firm. So whether it is talking to local businessmen or attending various community events – they should all lead up to more people knowing about your firm’s skills and competence. 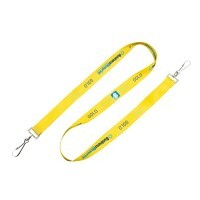 We can assist with all of your lanyard needs, id cards and badge holders. We also offer a massive range of marketing items to suit your companies message.